This summer guest contributor Kyle Vansice interned with Thornton Tomasetti in Chicago. He used some of his free time to explore Chicago’s rich architectural history, including works by acclaimed architect Frank Lloyd Wright (see also Desert Design). Kyle is now completing his master’s degree at Iowa State University. Many people have been captivated by Frank Lloyd Wright and respect his advancement of the prairie style of architecture, an obvious forebear of contemporary architecture. Mr. Wright pioneered sudden and dramatic departures from the design principles of his time, ultimately changing the course of architectural history. However, based on high profile repairs required to some of Wright’s most iconic structures, a structural engineer might wonder whether Mr. Wright’s new philosophy of design was matched with significant improvement in the way building structures are engineered. I believe the answer is mixed… and subjective. Upon first glance, Wright’s innovations in geometry and plan seem to require a broad new approach to structure. The Prairie Style comprises a horizontal, somewhat sprawling, layout, which exploits the use of the cantilevers and split-levels. 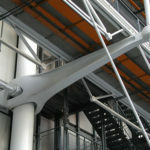 The use of such structural elements may seem like evidence that Wright innovated a new engineering to achieve his designs. However, I believe that Mr. Wright more likely stretched the existing construction techniques past their previous limits, possibly to a degree that diminished the factor of safety. 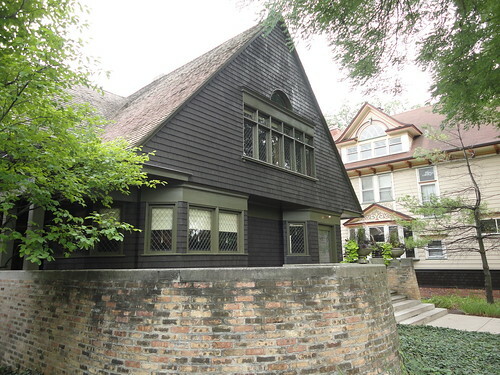 On a recent visit to Wright’s early home and studio in Oak Park, Illinois, I was able to see firsthand his attention to detail. His ability to stretch both space and materiality past convention is partly what made him such a transformative Architect. I tried to imagine what it would have been like to experience Frank Lloyd Wright’s working studio during his most productive years. It is clear that Wright understood the concept of holistic design as every space is a well-integrated piece of the overall plan. Every element fulfills a definite purpose. From there, the path is constant and flowing and as you move through the house, you slowly notice the integration of each room with the prior and with the next room you step into. There are subtle differences, but it is clear that Wright understood what took years for the rest of the Architecture community to grasp – that the building program should not be a reckless composition of individual and independent spaces, but rather it should be developed as a homogenous whole with diversity throughout. Unfortunately, Mr. Wright’s genius in architectural design was not matched by his understanding of engineering principles. 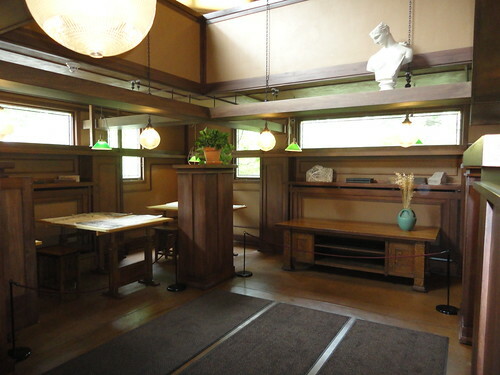 I believe the engineering behind his designs did not meet the exacting standards typical of a Frank Lloyd Wright space. Mr. Wright believed that the structures of his day were large, bulky, and overly engineered. 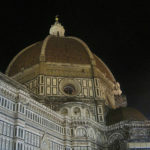 He felt that it was possible to challenge conventional wisdom and beat back some of the conservatism in structural design. I think it is also true to say that while he knew existing limits were antiquated, he did not fully appreciate the actual physical constraints that his designs surpassed. The tour guide at Wright’s home and studio told me that most of Mr. Wright’s structures had required significant rehabilitation due to technical deficiencies. The home and studio was no exception. Falling Water. Photo by K. Maschke in 2001 before balcony repair. 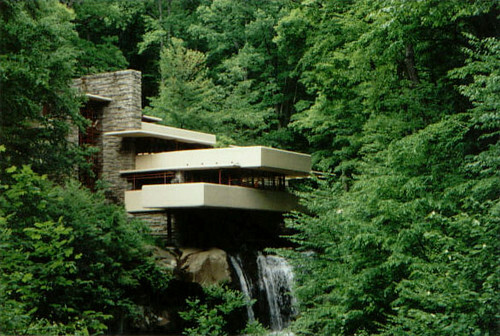 A good example of the need for structural remediation can be found in Mr. Wright’s riverside masterpiece, Falling Water. The iconic cantilevered portions of the home had at one point deflected close to seven-inches over their fifteen foot span, and analysis of the structure has revealed that the as-built design had placed these cantilevers dangerously close to their failure limits. Post-tensioning was eventually required to restore these portions back to their intended elevation and to prevent the sort of catastrophic collapse deemed inevitable (Tyler Meek, Fallingwater: Restoration and Structural Reinforcement). Other well-known examples of Wright’s imprudence in engineering include the Guggenheim in New York and Taliesin; both of which encountered significant structural rehabilitation in order to restore serviceability and prevent failure. This post is certainly a critique of a brilliant man with talents ahead of his time. I believe that Wright’s fierce independence and immense vision led him to create timeless architecture, but they also clouded his engineering judgment. While I wish to emulate his ambition to effect and inspire change, I also recognize that physical limits do exist. Mr. Wright’s designs can, however, serve as useful tools in learning how to push engineering boundaries. Engineering is as much art as it is science. It allows us to understand our world, and thus how we expand and change it. Students of structures, like myself, can learn from Mr. Wright, as our generation will continue his work to define, expand, and change the future of building design. Very good and informative article. Have a question for another of Frank Lloyd Wright’s buildings; was the Price Tower’s reinforced concrete core and cantilevered floors Engineered or did he include the concrete detailing in his Architectural design? 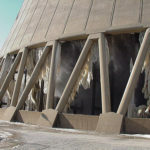 The concrete floors supposedly taper from 18 inches thick at the core to 3 1/2″ at the outside with steel and glass curtain walls vertically between them. In a little researching I have not found any record of a structural engineer or another who would have done the reinforcement detailing for this building. I loved your article. I had often heard of the need for repairs in wright designs, especially at falling water, but never got the detail. seven inches of deflection in 15 feet is phenomenal. what is really interesting to note is that mr wright’s education was in civil engineering, not architecture, which added to my awe at his lack of feel for strength and stiffness. I love his architecture, though. 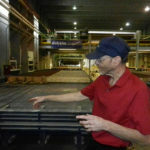 Structural engineering is really a great place to celebrate and promote the unique role of the creation of the building environment. Nice information about structural engineers, Many thanks to author.